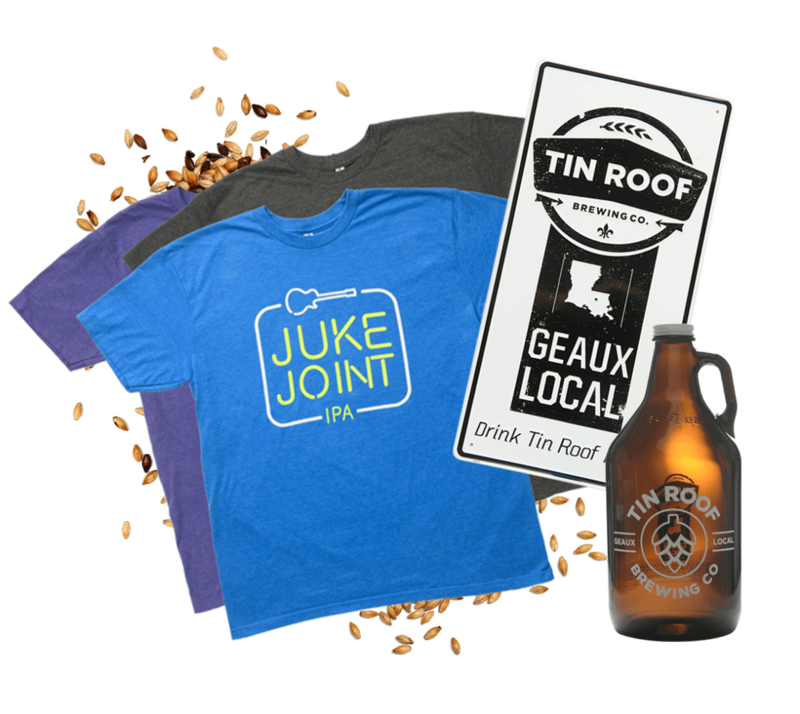 Tin Roof beer has become a staple in our city, forging moments that cultivate community and redefine what it means to live in Baton Rouge. Occasionally, the ThreeSixtyEight team seeks out a challenge too perfect to let pass. In the case of Tin Roof, we share a common directive—to make Baton Rouge a greater city. 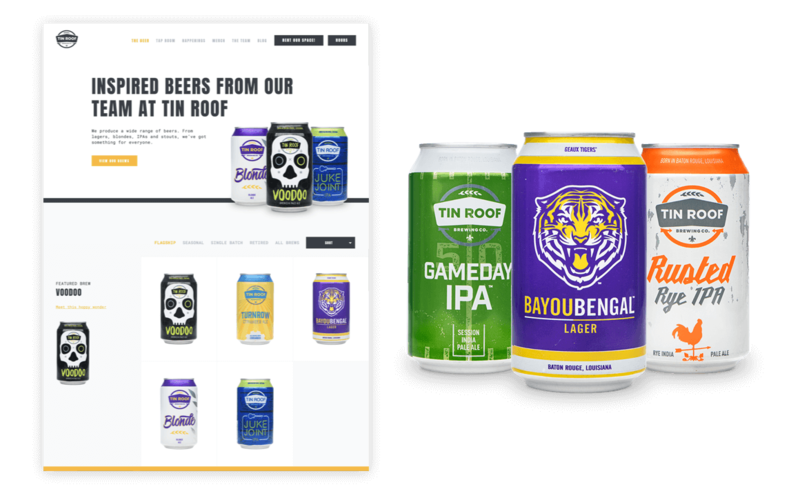 In Tin Roof, our team identified an established local brand lacking the digital footprint needed for continued growth into new markets and growing in-house brewery revenue. 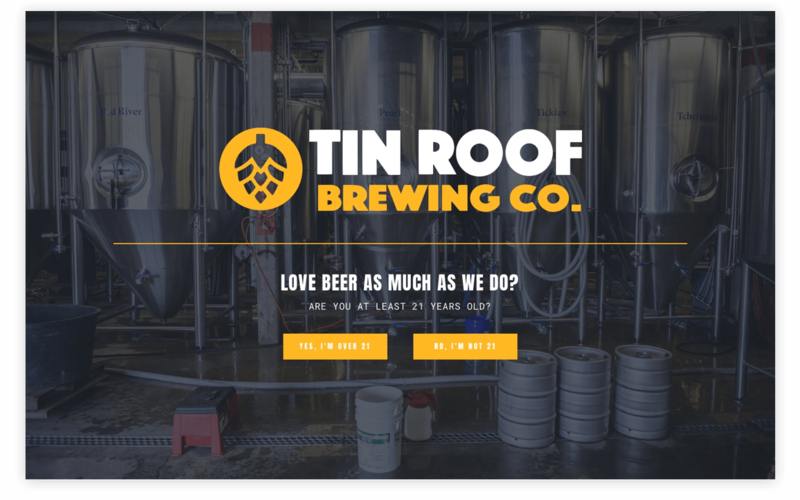 The existing web presence didn’t reflect Tin Roof’s values or position the brand as a hub for community events. We set out to change that. We tore down the scaffolding and started from zero. 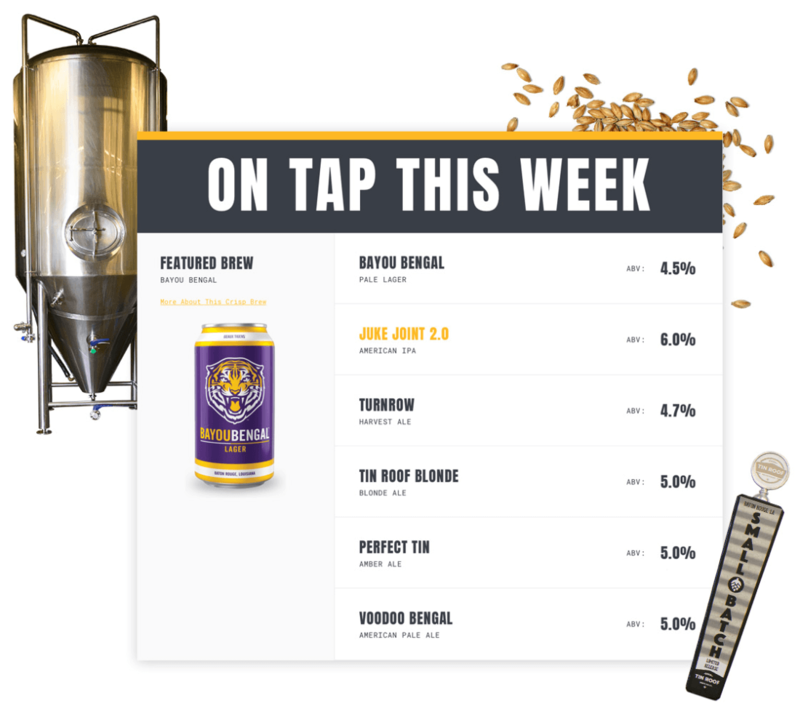 With fresh eyes, we reimagined an online experience that focused on the brewery destination and introduced users to the product in new ways. Making Tin Roof the hub for community would solidify their role as a cultural catalyst. 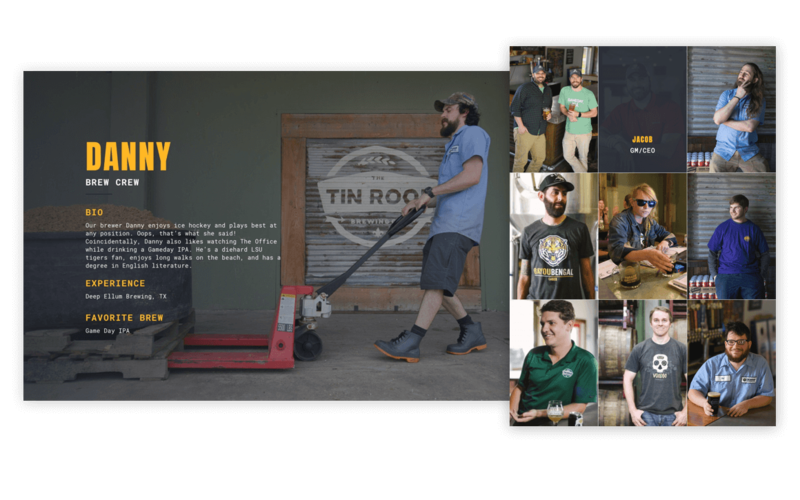 Our plan centered on engaging the community through weekly events, fun team bios, and quirky copy, all which positioned Tin Roof as a local destination. 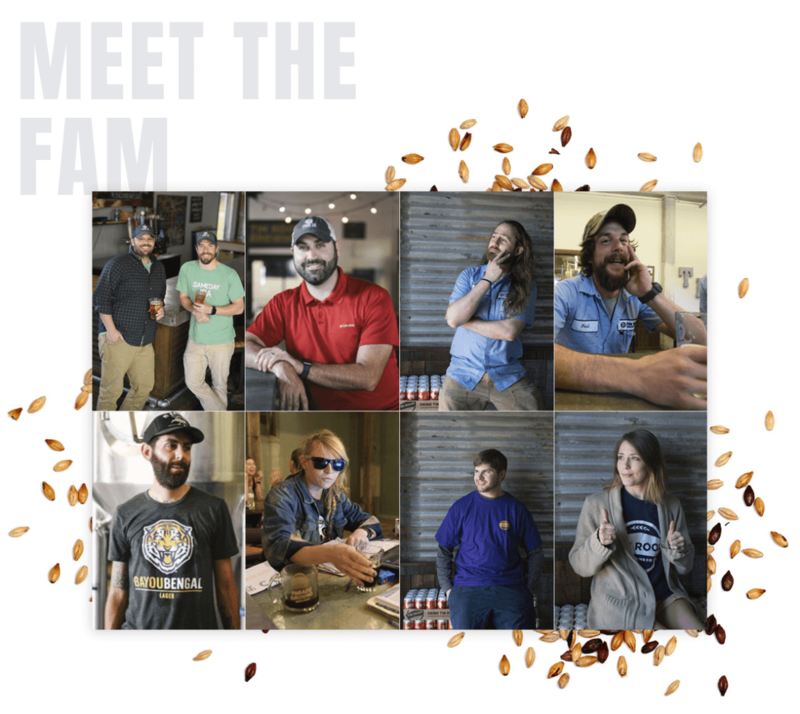 To introduce their beers to new audiences, we created personalized beer profile cards and emphasized the expertise of the brewing team. 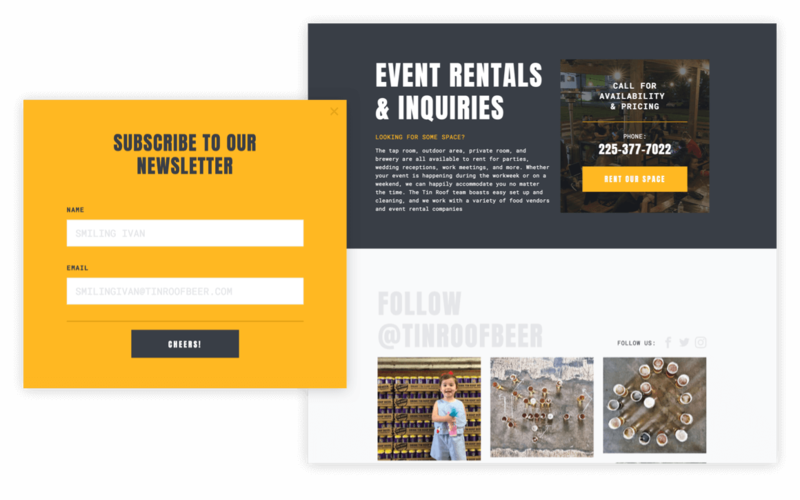 We take users into the brewery and give them a taste of Tin Roof–while also facilitating site rentals with an always-there interest form to take Baton Rouge’s private events to a new level. Early on, we focused on capturing the brewery in photos to take the experience online. We then captured every beer, crafting a presentation that pleases both the discerning taster and the everyman. 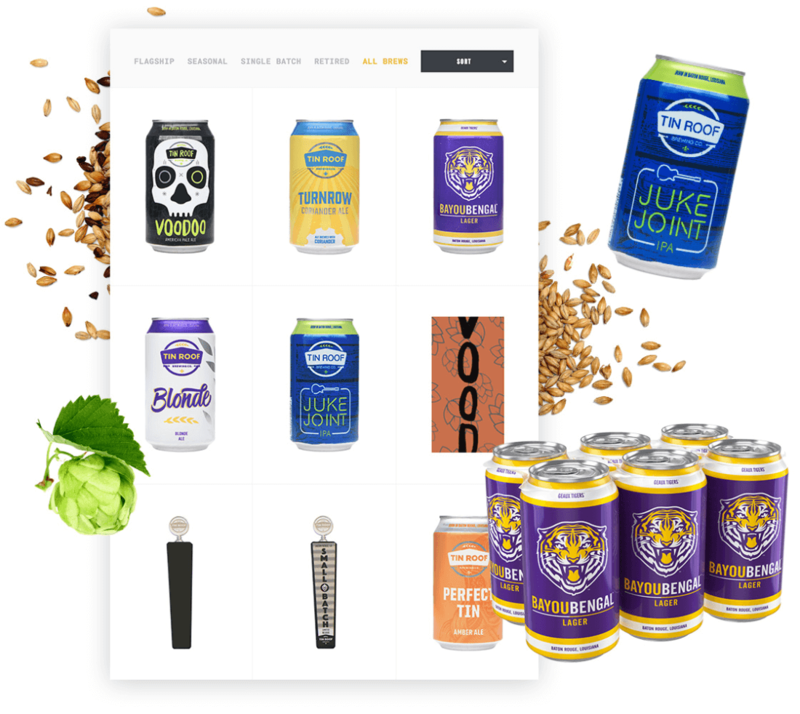 It all starts with the beers, so we meticulously worked with brewers to bring the complexities of every brew online. We crafted an online experience designed for maximum visual impact, highlighting the vibrant range of flavors and colors. The personality of Tin Roof’s diverse staff drives the good vibes and quality product flowing out of Tin Roof. Through immersive bios and updated photography, the crew is engrained in the site as much as they are in the establishment. The center of it all, Tin Roof’s tap room anchors everything from yoga nights to food truck festivals. 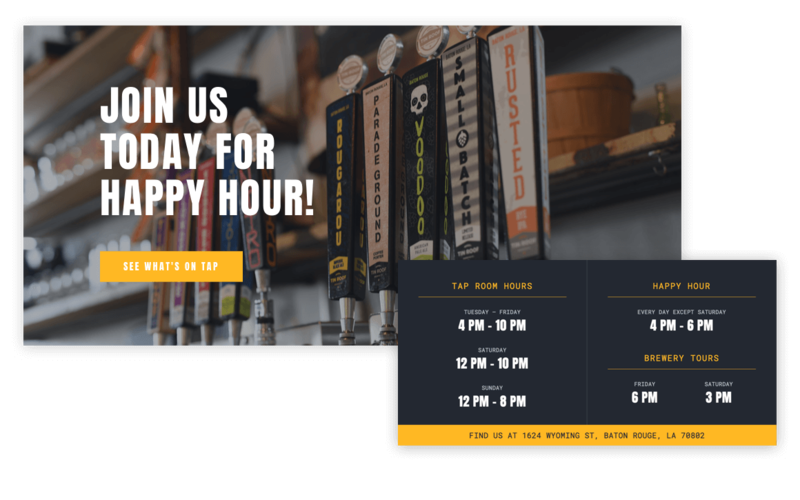 Our team took the tap room online by creating a dynamic feed of ongoing events, with immersive interactions that delight every user. A gesture-driven user-interface makes the Tin Roof mobile experience slick and easy to use. We wanted to meet people where they are – on phones and mobile devices.